I designed the cover artwork for Beating Signal's new single The Story. 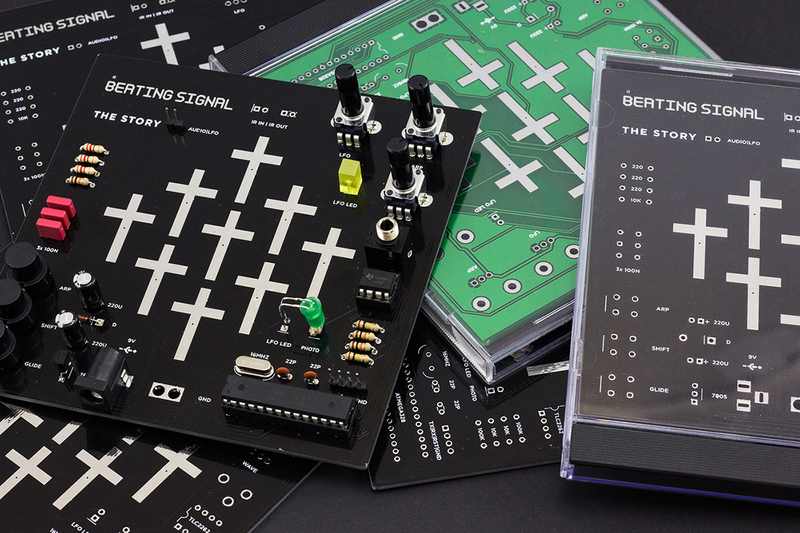 It consists of a printed circuit board that can be used to build a working mini synthesizer. 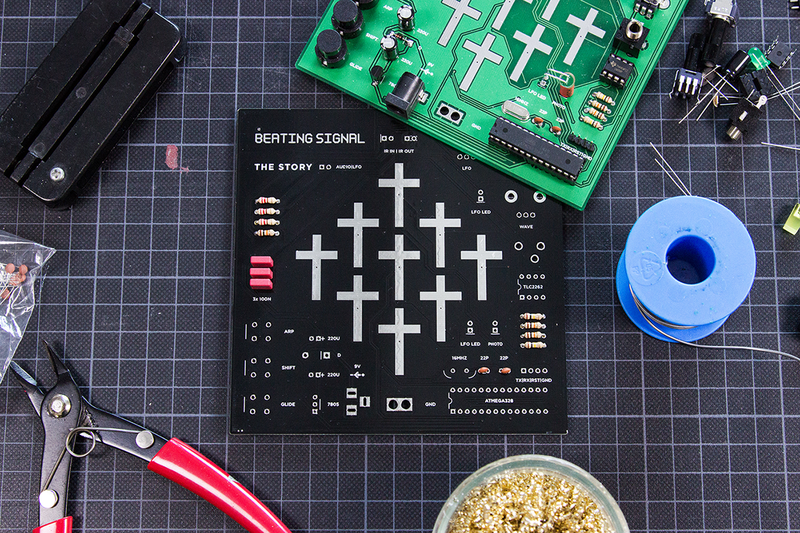 Using just a handful of cheap components, the synth can easily be assembled in under an hour even by beginners. The software can be transferred using a regular Arduino or FTDI/USB adaptor. 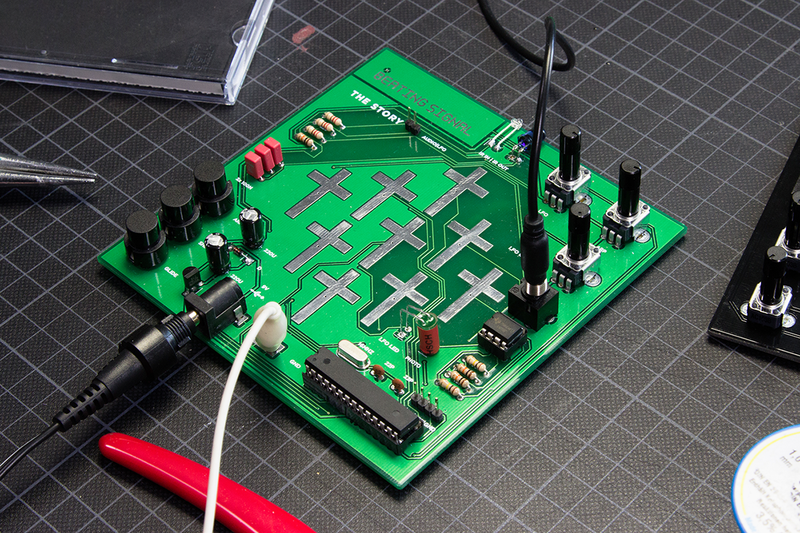 The approachable Arduino-based software and additional pins and connectors allow for straightforward experimentation and modifications by the user. the ground plane of the circuit board. A photoshop rendering of the cover for streaming. 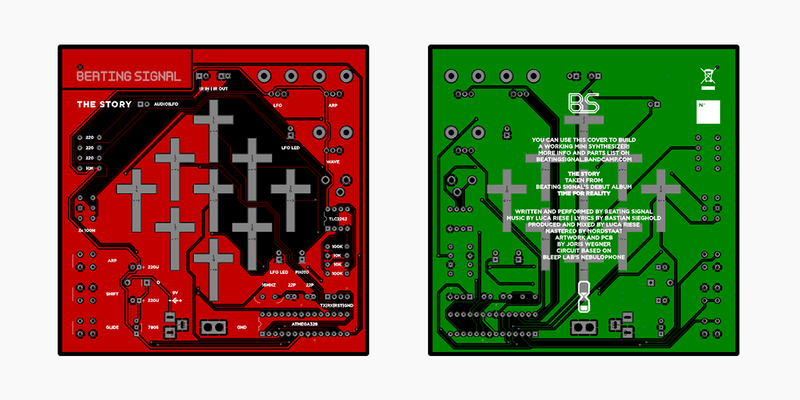 Work in progress and assembly shots also depicting the super-limited pcb green prototype edition. 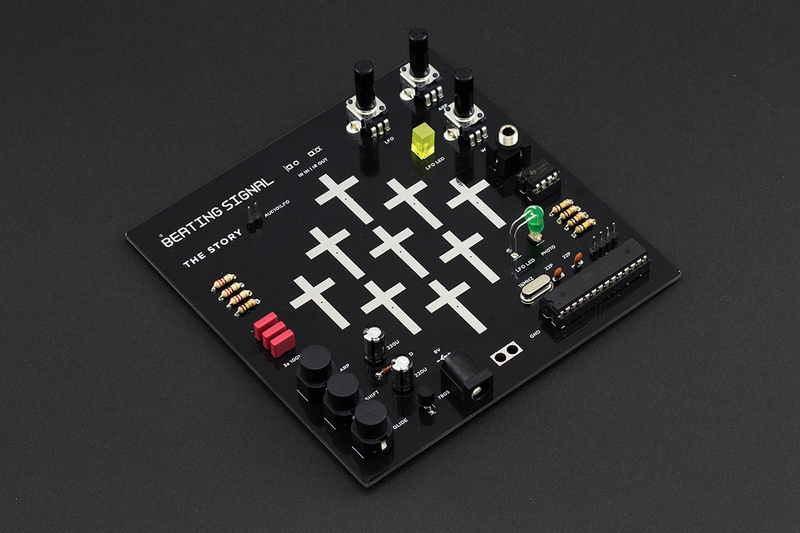 The synthesizer is based on the Nebulophone by Bleep Labs. Software and design files are available on Github. 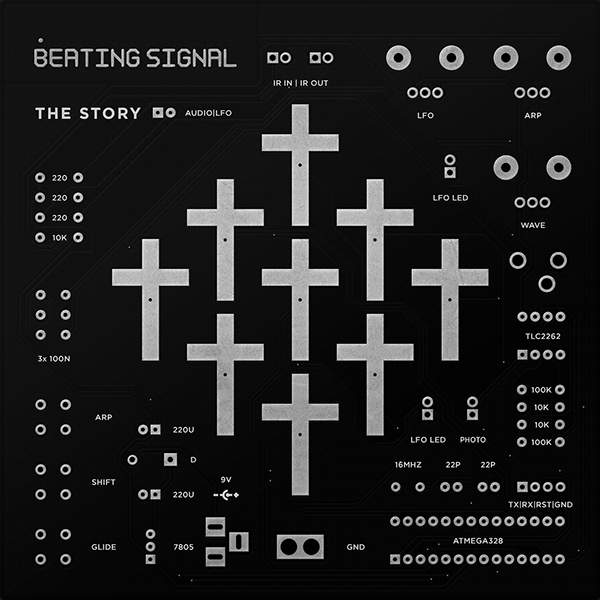 Cover design for Beating Signal's new single "The Story". 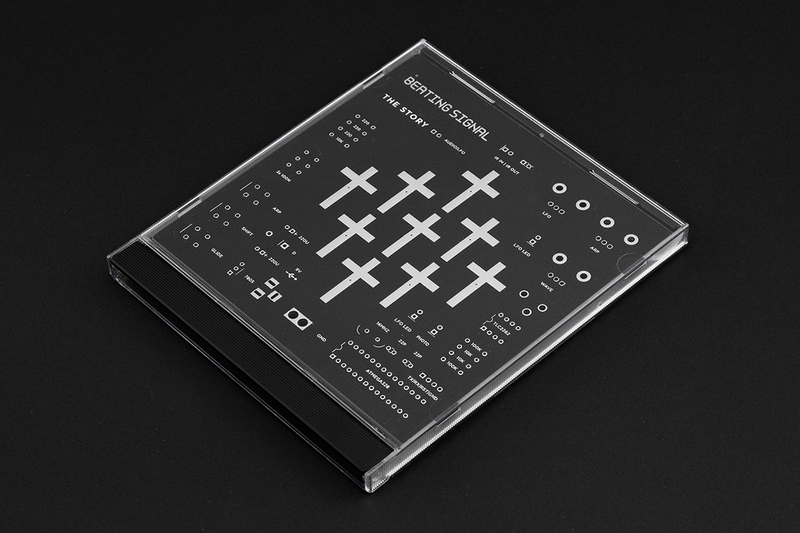 It consists of a printed circuit board that can be used to build a working mini synthesizer.